Versatile, loved by everyone and enjoyed all year round- never before have I been to an island with so many personalities and faces. I’ve even been to Bali with my mum. As you can imagine we are very different people of very different generations, yet, somehow our trip to Seminyak turned out the be the perfect destination for both of us. From evenings indulging in fine dining to days spent lounging on beaches, here’s how I came to the conclusion that Seminyak is the ultimate destination for the luxury traveller. One of the highlights of our trip was the amazing cuisine. Balinese was worlds away from the food we’d tried in Thailand, Vietnam and Malaysia, yet never before had I imagined that fine dining and the food of this small, sunny island would go hand in hand. We left Bali with a real taste for the aromatic and fragrant flavours found in the cooking after dining at some of the island’s most talked about restaurants. Of particular note was Merah Putih. This rustic, yet sophisticated restaurant served up classic Indonesian dishes in what was clearly their signature style- one of refined elegance. You’d be hard pressed to rival the restaurant’s beer, wine and spirit collection elsewhere and the environment in which we dines was wholly unique, surrounded by jungle. Other restaurants worth mentioning are Metis for fine dining, Sarong and Mamasan for posh street food and if you want to watch the colourful Balinese sunset, head to Ku De Ta. Now grab yourself a local specialty cocktail, sit back and watch the magic. Balinese accommodation caters for everyone. It doesn’t matter if you’re a backpacker or a millionaire, because it’s all delivered with the same unique style and flair. That said, we say do it in style, as the cost of a luxury hotel in Bali is a steal compared to the price you’ll pay in more commercialised destinations of a similar kind. Our trip began in Ubud where we opted to stay amongst the rice paddy fields before heading to Sanur to stay in a colonial style wooden retreat. Exploration and activity-filled days complete, we soon found ourselves amid the peace and tranquillity of Seminyak. The area is a welcome escape from the noise and bustle of nearby Kuta and stands as an exclusive five star area in which to enjoy your time in Bali. When in Sanur, live like a rock star. 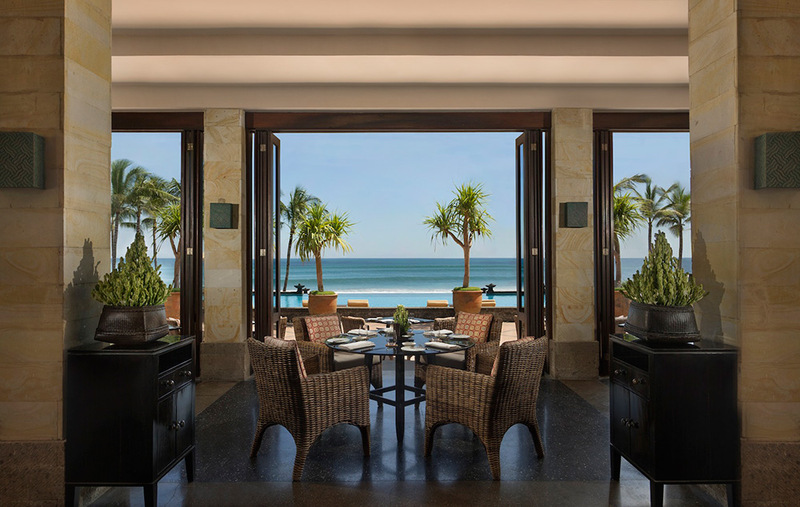 We checked into The Legian Bali as it boasts some of the finest luxuries and amenities the island has to offer, as well as a prime, secluded beachfront location. Our suite had a private terrace where we could relax and enjoy the fresh fruit the hotel brought to our room each day. It also overlooked the crystal waters of the ocean, making for some memorable evenings gazing at sunsets. We were provided with our own private butler as well as a private chauffeur to take us around the area which proved to be a great compliment to our already superb stay. Seminyak is a shopaholic’s paradise. Whether you’re a surf chick like me or you’re a fashion-savvy, brand-buff who enjoys the finer things in life, there are vast opportunities for everyone to shop. Make your way along Jalan Laksmana and you’ll find a collection of upmarket boutiques selling stunning handmade jewellery and fine art side by side with the throng of world-famous surf shops. The nearby modern and beautifully landscaped Seminyak Village plays host to upscale and well known international stores as well as local designer boutiques. We enjoyed many a cool evening strolling along the shopping streets of Seminyak which was certainly a far more pleasant experience compared to the rush and bother of Kuta’s shopping strip. Whichever way you turn, you’ll be greeted by people and places offering massages, spa treatments and even a seat on their private beach. If you’re looking for a luxury spa experience, then you’ve come to the right place. Seminyak is home to many incredibly fancy spas offering cutting-edge treatments in truly breath-taking surroundings. 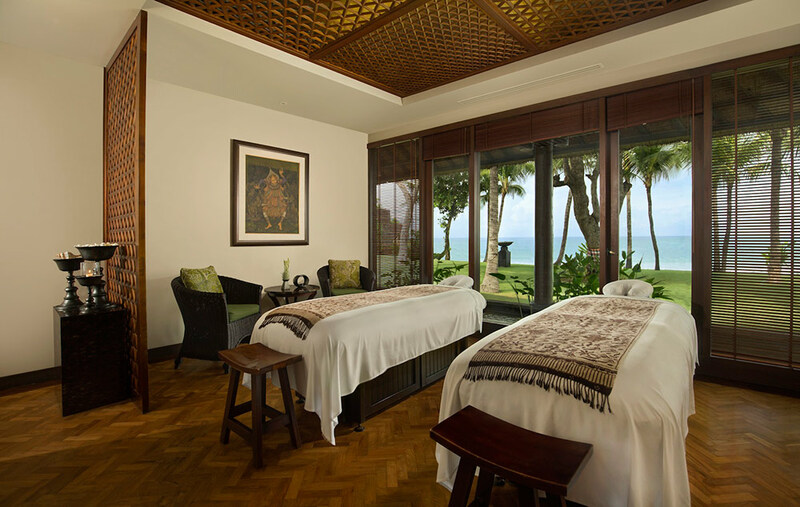 Opt for a full-body massage with the gentle lap of waves for a backdrop or even try the local way of rejuvenation with an ancient Balinese massage or bathing ceremony. We opted for reflexology treatments and they really helped us to find our feet. Surfs always up in Seminyak. The beaches are much less crowded than neighbouring Kuta, especially the further north you move up the coast, so they’re perfect for learning to surf or just soaking up the sun. We tried our hand at horse riding along the empty beaches and we were joined by nothing but the sun, the waves and the occasional fisherman. If you’re looking for your culture fix, Petitenget Temple is the heart and soul of Seminyak. An important cultural landmark, centuries old, it’s a must-see whilst in the area.